Check out E3 success stories and results. E3: Economy, Energy and Environment is a federal technical assistance framework helping communities, manufacturers and manufacturing supply chains adapt and thrive in today's green economy. EPA and five other federal agencies have pooled their resources to support small and medium-sized manufacturers with customized assessments. 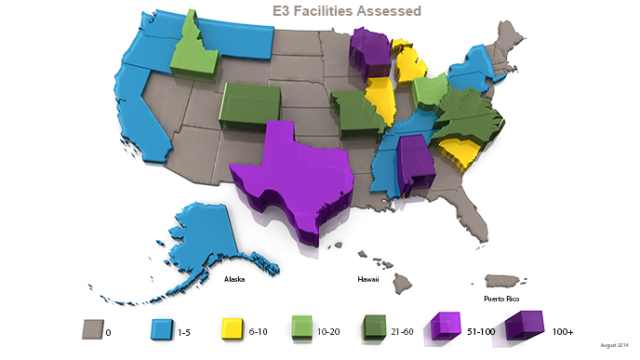 E3 is helping communities across the country reduce pollution and energy use while increasing profits and creating new job opportunities. Find out more about participants at E3 on the ground and success stories. 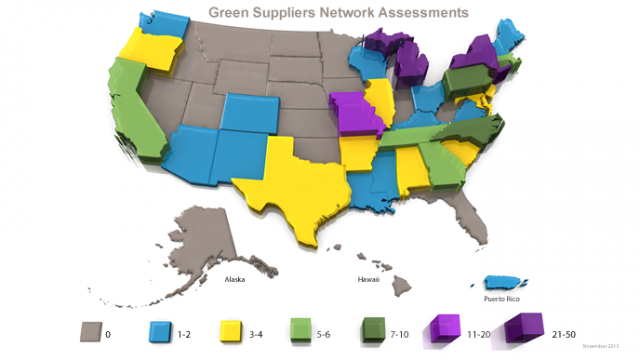 E3's Green Suppliers Network has completed 183 technical assessments. Select to go forward or back.